I was introduced to jogscotland by a mutual friend, who recommended going along to the Muir of Ord group, which is 12 miles from my home. The welcome I received was fantastic. The members made me feel really welcome and the importance of this welcome is something that has remained a pivotal part of my Jog Leading ethos. Within my first year at Muir of Ord the support and encouragement I received from the Jog Leaders was fantastic, but I recognised that as this club was getting bigger, there was a lack of leaders, so I put myself forward to be trained as a Jog Leader. I felt it was a great way to pay back to the club the motivation that I had received at the start of my journey. This was huge for me, who only a few short years before was not in the slightest bit interested in exercise or improving my health and wellbeing. 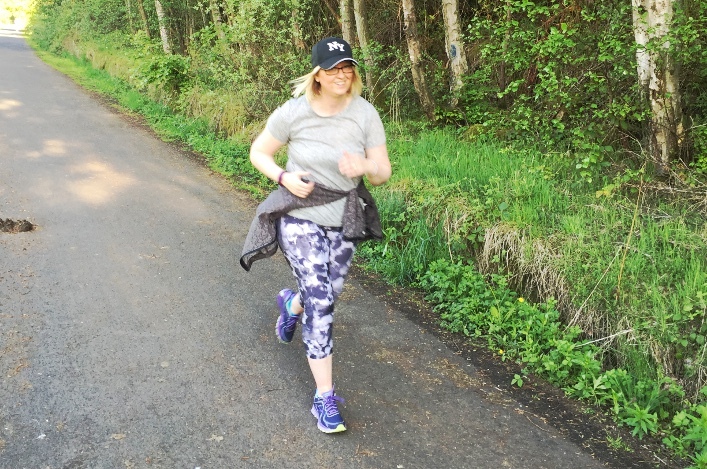 I very quickly found that being a Jog Leader was something I really enjoyed, and that I was fairly good at helping others achieve their goals, be they be big or small. Just knowing I could call other Leaders or jogscotland HQ for advice was invaluable. 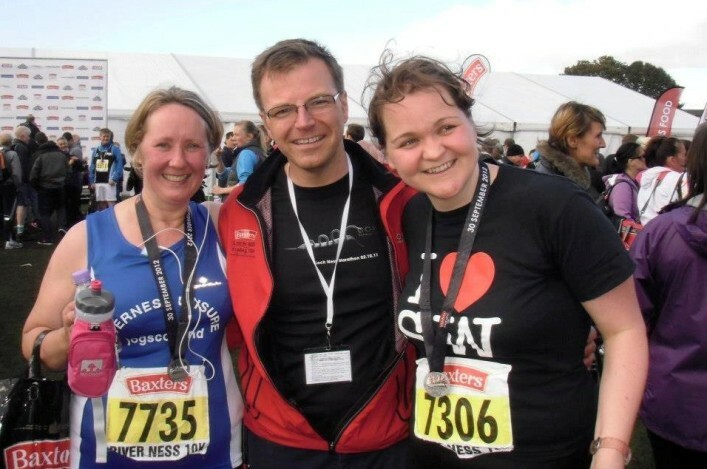 In late 2011, I approached the local sports centre to discuss setting up a jogscotland group in Inverness where I lived, which incredibly had no club. Little did we know how successful this new group was going to be. On our first night 96 came along! With the incredible help of my fellow leaders from Muir of Ord and many of the established runners from there, we were able to get things going in a safe and organised manner. Since then we have grown the number of leaders at the club to 23 in Inverness and 10 in Muir of Ord, many of whom started like myself as a reluctant lone jogger, but with the support and encouragement from other leaders they have all gone on to be a vital part of both groups. I love doing my jog leading at both groups, the joggers and fellow leaders are more like friends to me. In October 2012, I had the honour to be named Jog Leader of the Year by jogscotland. Needless to say I was very surprised and I don’t think I stopped smiling for a week. But as much as the award has my name on it, to me it is also for my fellow Jog Leaders and runners at both clubs, who without their help and support, I could not fulfil my role. I’ve also helped to set up a new group at Inverness Royal Academy, which we hope will be just as successful. 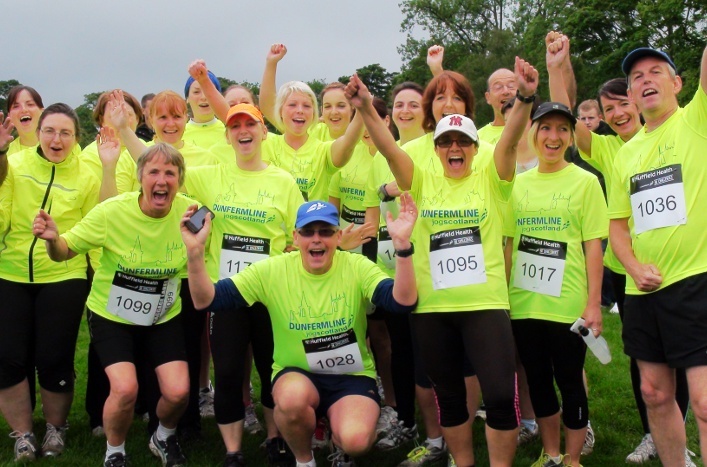 "I love doing my jog leading at both groups, the joggers and fellow leaders are more like friends to me."